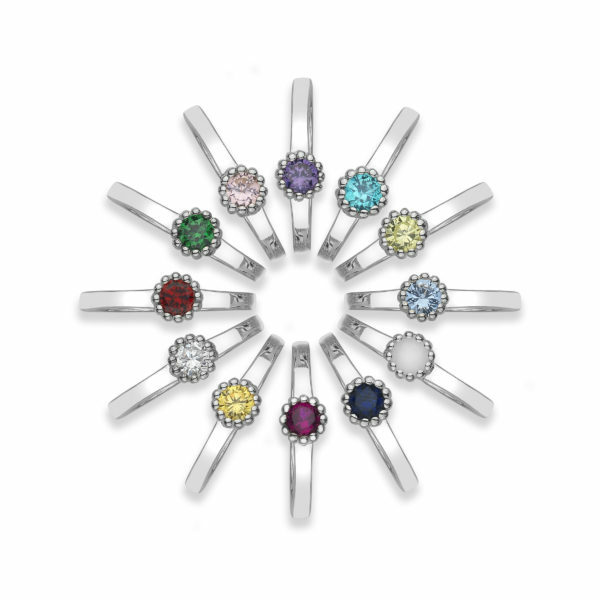 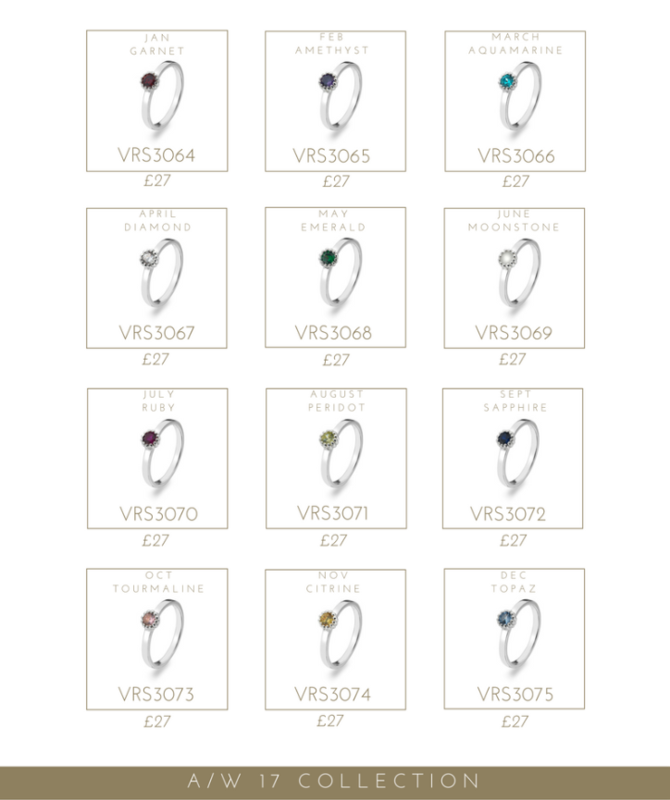 Choose your birthstone and size from the drop down menu. 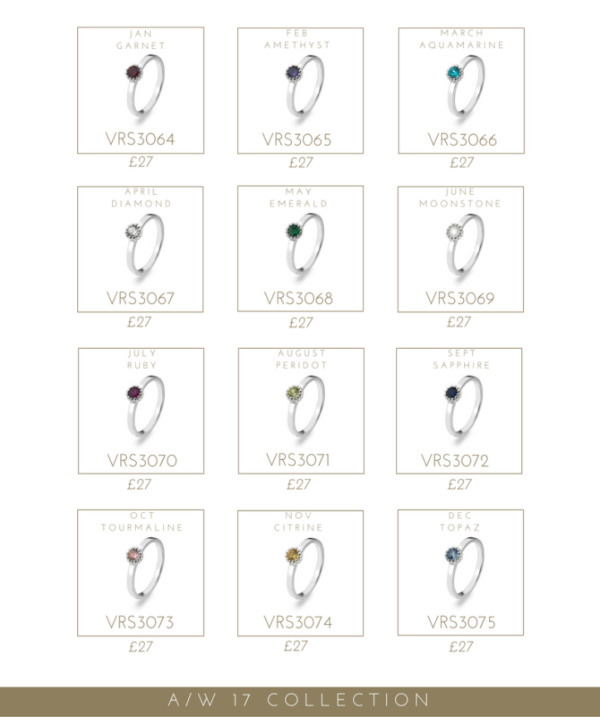 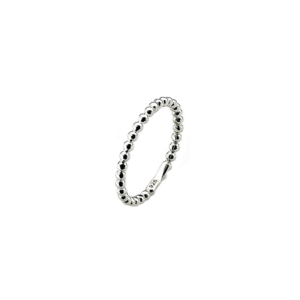 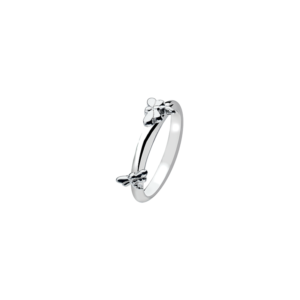 For help with ring sizing please check out our jewellery sizing chart. 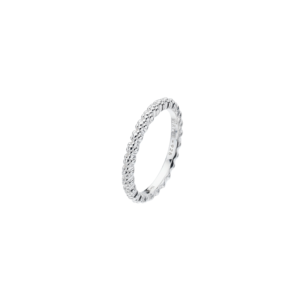 Please note for one ring only.